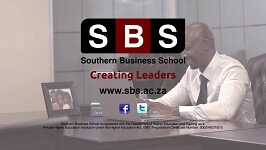 Southern Business School has CREATED LEADERS in the private and public sectors since its inception in 1996. The four business principles of QUALITY, AFFORDABILITY, RECOGNITION and CUSTOMER SERVICE are underlying all actions and decisions and have laid a solid foundation for year-on-year growth and continued improvement of the overall learning experience. Southern Business School provides accredited quality higher education through distance learning. As a private higher education institution, we address leadership in management, business and commerce, law and policing. The Centre for Management and Leadership Development (CMLD), a unit within Southern Business School, focuses on developing leadership and management skills in the workplace by offering a wide range of short learning courses and development programmes tailored for both the private and public sectors nationally and internationally. The Centre for Safety in Society is a unit within Southern Business School that supports the development of leadership and management skills within the Safety in Society environment of policing, traffic policing and the SANDF. Making use of technology and innovative practices, Southern Business School is one of the leading private higher education institutions in Southern Africa. Southern Business School provides higher education and training in a framework where quality, affordability, recognition and customer service play a central role. The four principles of QUALITY, AFFORDABILITY, RECOGNITION, and CUSTOMER SERVICE form the business principles on which Southern Business School has been built.